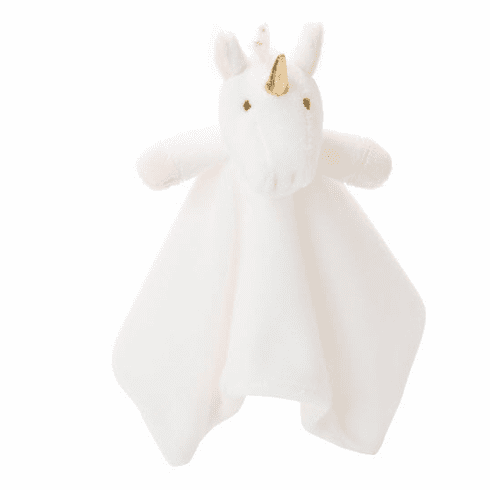 Unicorn Snuggle Blanket Personalized is a soft, durable, fade-resistant blanket. Your little one will adore curling up and cuddling with this sweet Plush Velboa Security Blankie! And measuring at 10" x 10" these are the perfect size for tiny hands. Personalization is available at no additional charge.